I must confess to being disappointed in All New Hawkeye #1. This is not because it is a bad comic - quite the contrary! I had just expected something new to go along with the new title and the new numbering. I had expected something revolutionary akin to when Jeff Lemire took over Green Arrow. 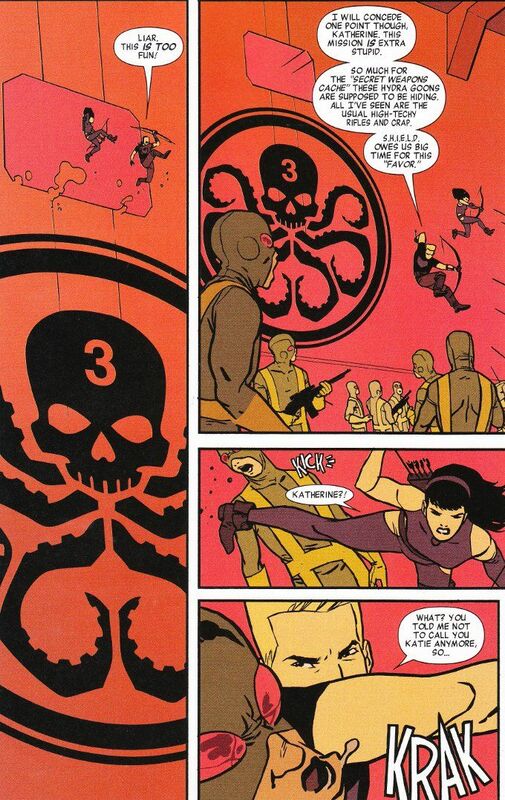 Instead I got a serviceable but unremarkable Hawkeyes vs. Hydra story. Whether by intentional design or by editorial fiat, the writing and art for this issue seem to be aping the styles of Matt Fraction and David Aja. This might not be a bad choice given the acclaim the previous Hawkeye team had won but Lemire and Perez are no green rookies who need to play copycat! 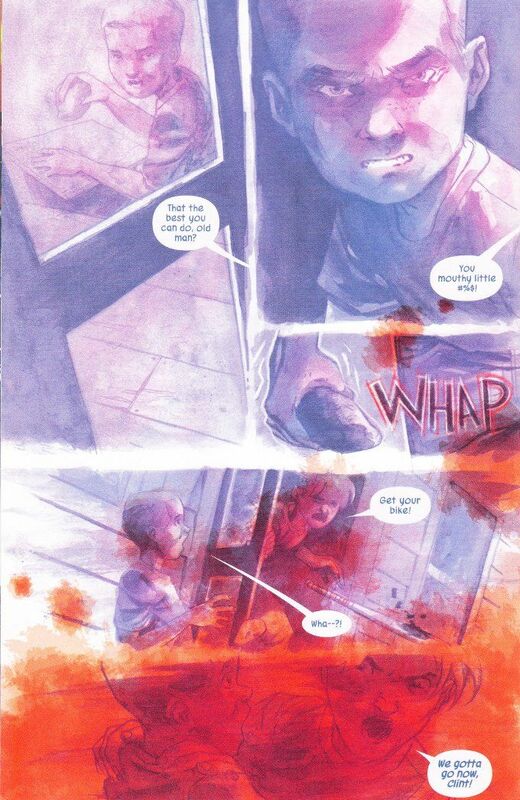 In terms of original content, the best bits of the book are the flashbacks to Clint Barton's childhood, which are largely rendered in a purple haze excepting when the story turns violent and red flows into the coloring. That is unique. That is different. That is what I was expecting when I bought this book. Still, fans of the previous series will probably be relieved that nothing has really changed. And if the worst thing I can say about a comic is that it seemed derivative of one of the best series in recent memory, it must be pretty good.